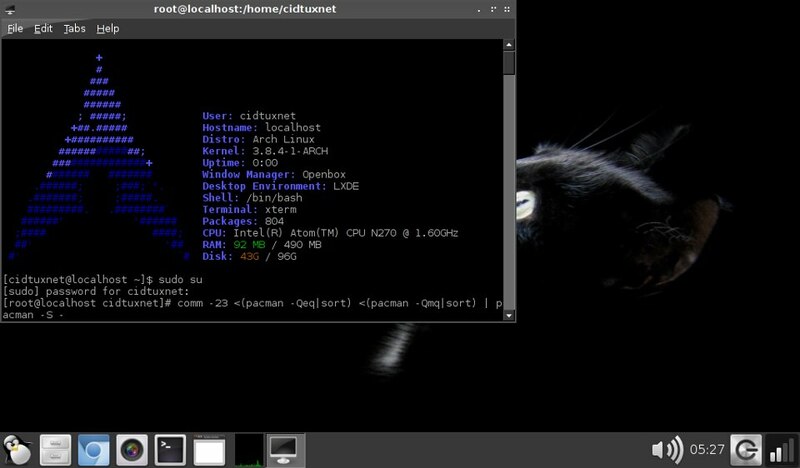 Hi, i have a archlinux installed on my primary PC, then i want to clone it on my netbook. I'm using "copy-paste" methods to copy all files to new hard disk. There are official way that you can follow on here. But on this post i'm using my own methods to clone the archlinux installation. 1. Copy Paste all filesystem to new disk. 2. Boot into live USB. Intel Atom N270, Intel GMA. Ok let's clone (Use it at your own risk). 1. Insert Drive(sata drive) on PC (that archlinux installed). 2. Cek using fdisk -l where your drive is located. On the new machines, sde4 is change to sda4. 7. Reboot & Reinstall all packages. 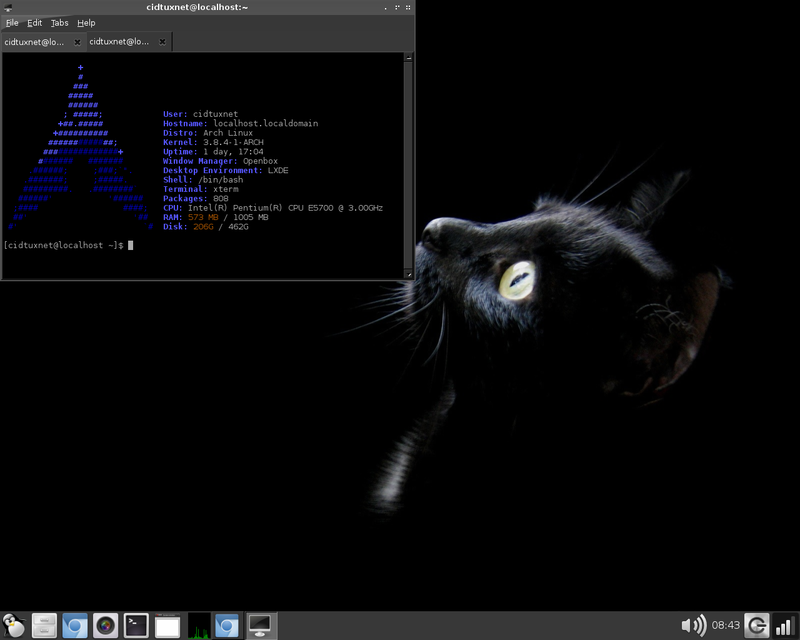 Now you should boot into archlinux. (you will see error when booting it you can fix it later). Login into user, then connect the internet. Now you can fix file configuration like /etc/fstab /etc/pacman.conf, etc.